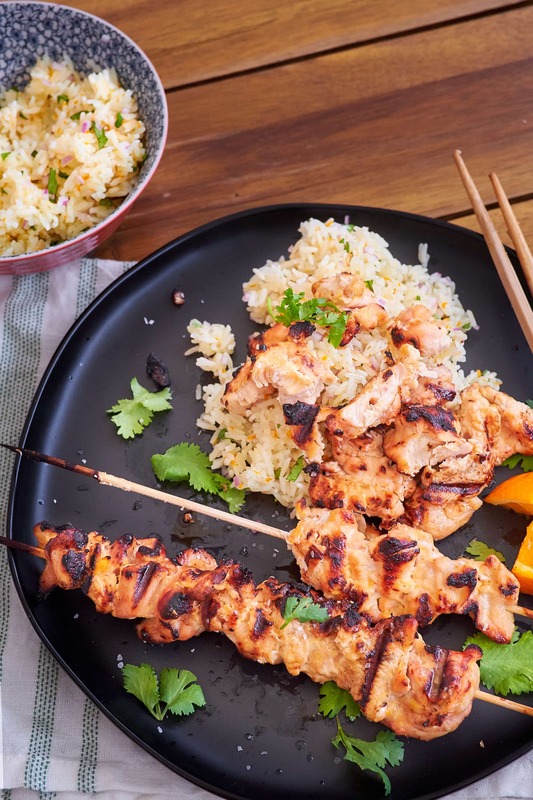 Orange Ginger Chicken Skewers are an easy, delicious way to grill a whole chicken for your summer cookout. I broke down and carved a whole chicken for this recipe but you could certainly buy breasts or thighs to marinade and grill if you’d like. I may have a love affair with Orange, Ginger, and Chili marinades. I used a similar marinade recently for Asian Chicken Tacos and I can tell you I use this base more often than any other marinade. It works great with Chicken, Beef, Pork and Fish. Sometimes I’ll add honey for added sweetness and / or some soy sauce for a salty umami flavor. 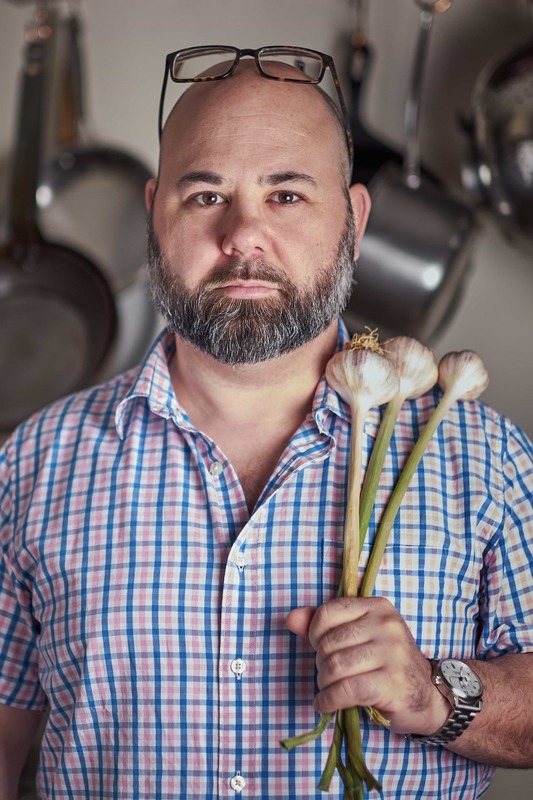 Using fresh ingredients as often as I can allows me to control what I’m putting in my food. 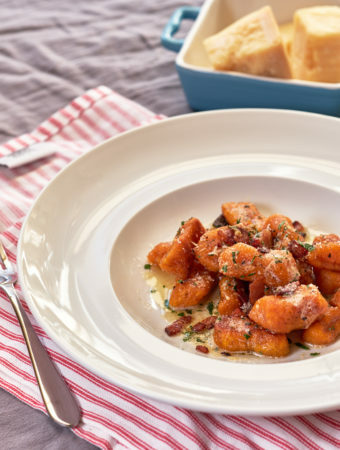 This recipe is super simple with just a few basic FRESH ingredients. 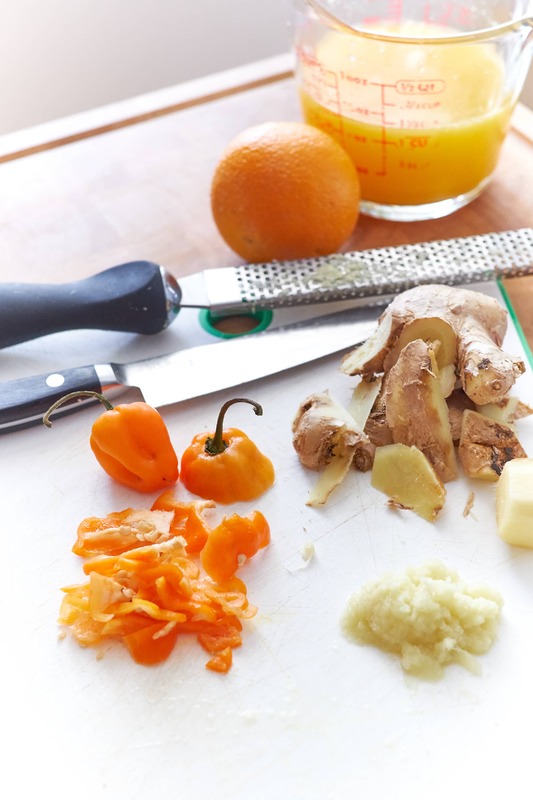 Freshly squeezed orange juice, freshly grated Ginger, chopped Habaneros, and one whole farm fresh Chicken. This ($9!) chicken was purchased from Halteman’s in Reading Terminal Market. I don’t know what they’re doing to their birds but these are always juicy and flavorful – like WAAAAY more than anywhere else. I use some oil to lube the grill then I finish the chicken with sea salt. You can’t get much more simplistic on the list of ingredient; Chicken, Orange, Ginger, Habanero, Oil, Salt. Chopped Habanero and Grated Ginger. Whenever possible I like to buy and make my meals around a whole chicken. 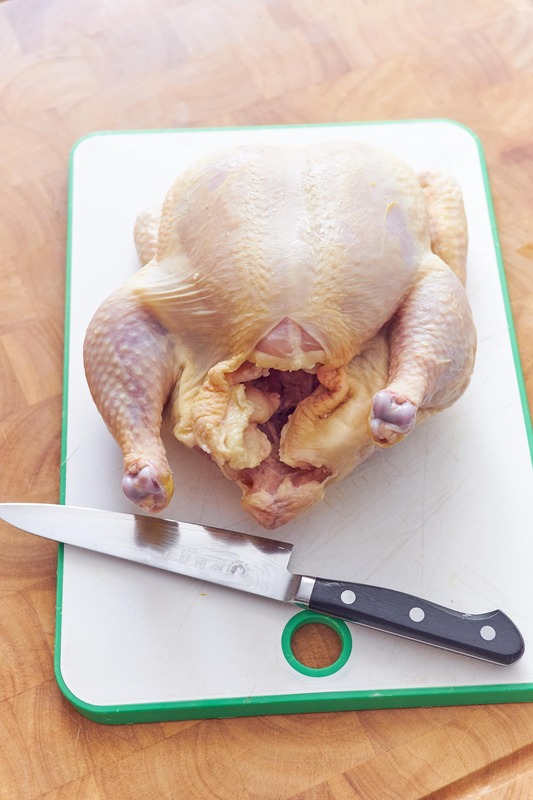 There’s so many benefits to butchering a whole chicken. 1. I get to practice my butchering skills. 2. I can see the whole bird. Some of those chicken breasts for sale are way too big to be from chickens of this planet. 3. Using a whole bird puts you in control of waste. All in all, there’s less chicken leftover then there would be styrofoam containers and plastic wrap. 4. It’s safer and healthier. When parts are butchered for individual sale you don’t know where those parts are going or how long they’ve been sitting around. 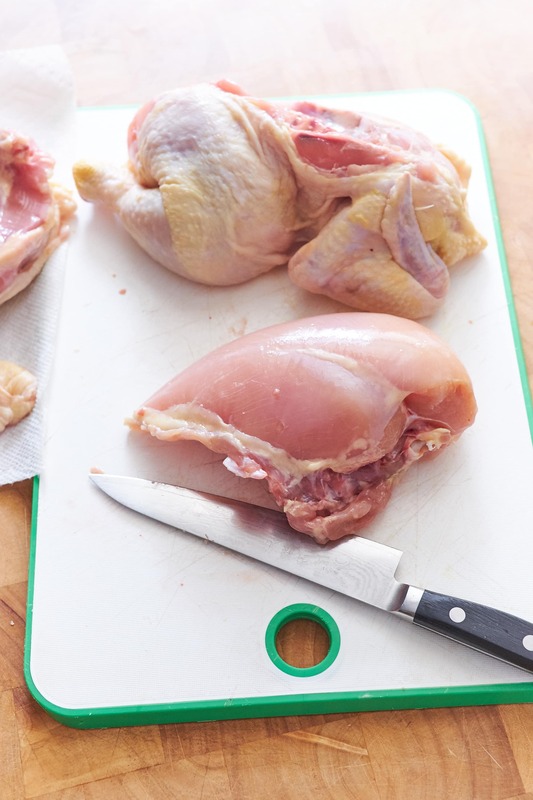 Freshly butchering a chicken means less opportunity for bacteria to grow. 5. 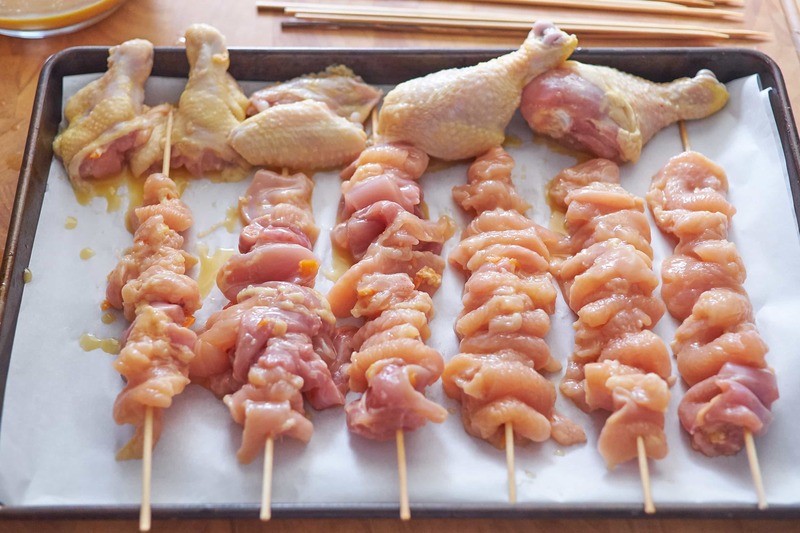 This skewer recipe works best with breast and thigh meat. That means I get ‘chef’s cuts’ from the legs and wings. 6. 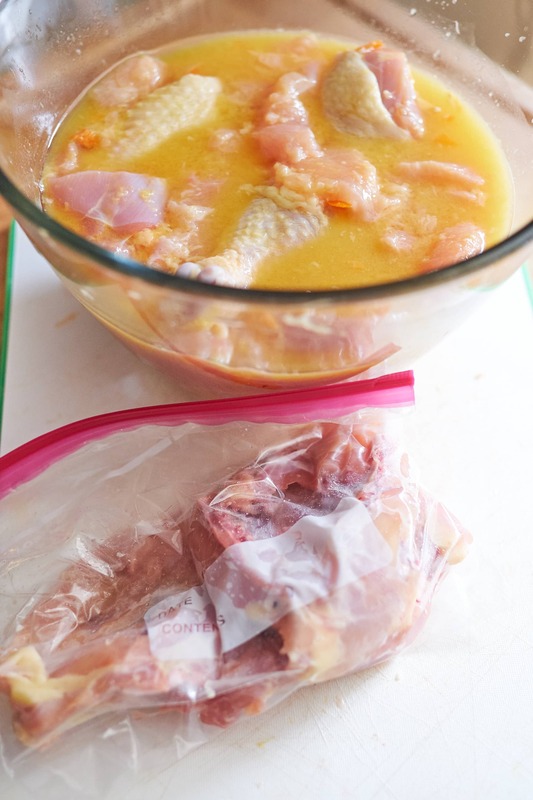 Save leftovers and the carcass for chicken stock! In one of the photos below I show the bowl marinating the chicken while all the left over scraps are placed in a zip top bag to go in the freezer. You can find my marinade recipe in the recipe card down below. Once you get that together and you’ve thinly sliced your chicken breast and thighs, you can let that marinade covered in the refrigerator for 2-4 hours. While the chicken was marinating I had plenty of time to get my grill ready and make a serving of Jasmine Rice to go with the chicken. For the Jasmine Rice I used 1 cup of (rinsed) rice to about 7/8th of a cup of water. Jasmine Rice in particular I like to boil with some orange zest right in the pot. Bring the water to a boil, cover and reduce to a very slow simmer for about 10 minutes. 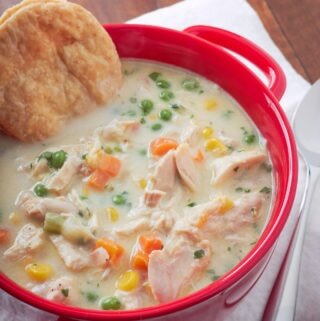 Turn the heat off and leave covered until ready to eat. 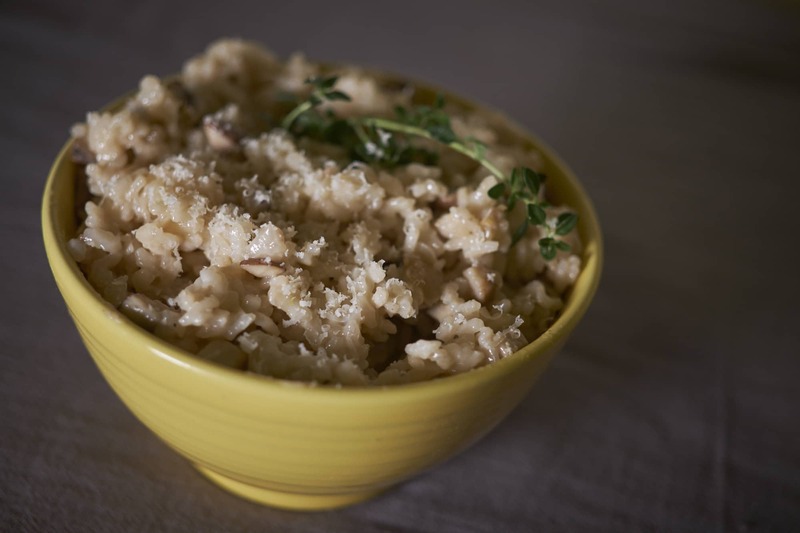 Fluff the rice with a fork then add some finely minced red onion and cilantro. Using a whole chicken actually reduces your waste. Plus you get left overs for stock! I think the general rule is that a whole chicken should serve two by itself or four as part of a meal. This chicken yielded 6 very full skewers in addition to the legs and wings. You could easily stretch the skewers to 8. With some sides like rice and vegetables you should be able to feed 6. 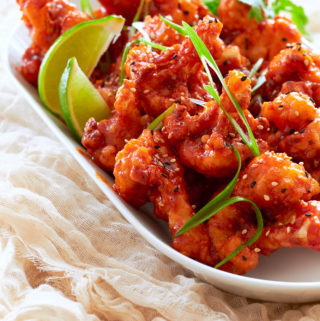 You could go a step further and Bahn Mi your Orange Ginger Chicken Skewers and feed a party. Between using farm fresh chicken and marinating for a few hours in freshly squeezed orange juice, this was one of the moistest chickens I’ve had in my life. 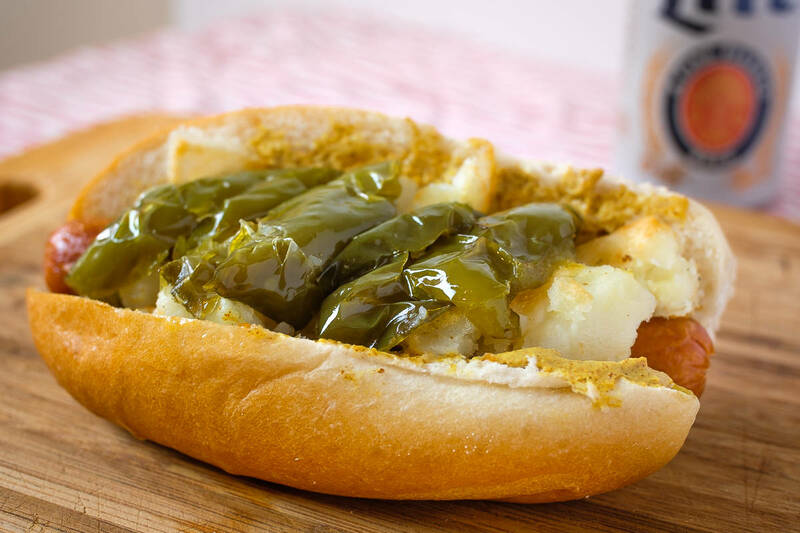 I’m going to make this one of my weekly staples for the rest of grilling season. I may have to resort to the broiler once the weather turns colder. I’ll have to work on some other adaptations – maybe pineapple and sesame or lime and cilantro. Oh, I’ll have to tell you the story about the ‘lime chicken’ I brought to a barbecue one time. It was not good. 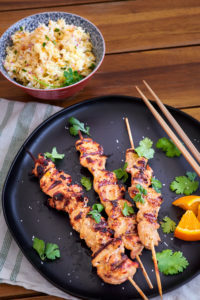 Dress Orange Ginger Chicken Skewers with coarse sea salt, cilantro, and orange wedges. Orange Ginger Chicken Skewers are an easy, delicious way to grill a whole chicken for your summer cookout. I broke down and carved a whole chicken for this recipe but you could certainly buy breasts or thighs to marinade and grill if you'd like. I may have a love affair with Orange, Ginger, and Chili marinades. I used a similar marinade recently for Asian Chicken Tacos and I can tell you I use this base more often than any other marinade. It works great with Chicken, Beef, Pork and Fish. Sometimes I'll add honey for added sweetness and / or some soy sauce for a salty umami flavor. 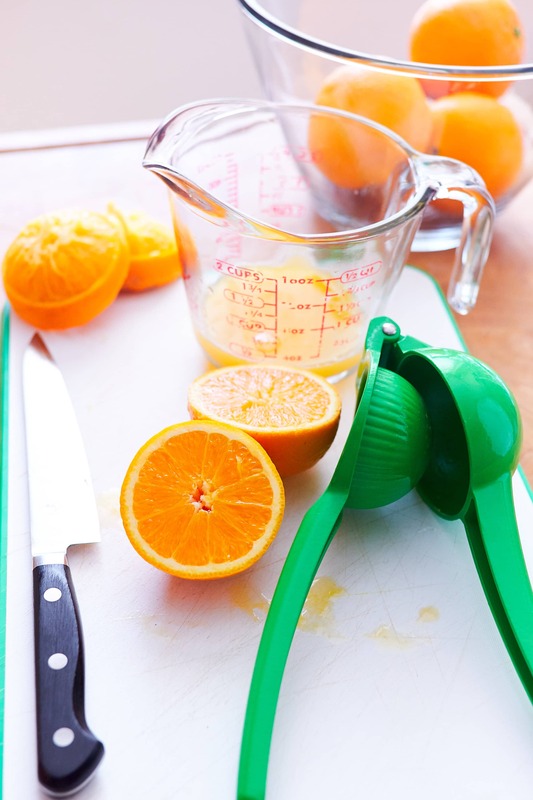 Combine freshly squeezed orange juice, freshly grated ginger, and chopped habanero in a medium bowl. If using a whole chicken, break down in to quarters. Transfer the wings and drumsticks to the marinade. Debone the breasts and thighs and slice in to quarter in thick slices. Transfer to marinade and chill in refrigerator covered for 2-4 hours. 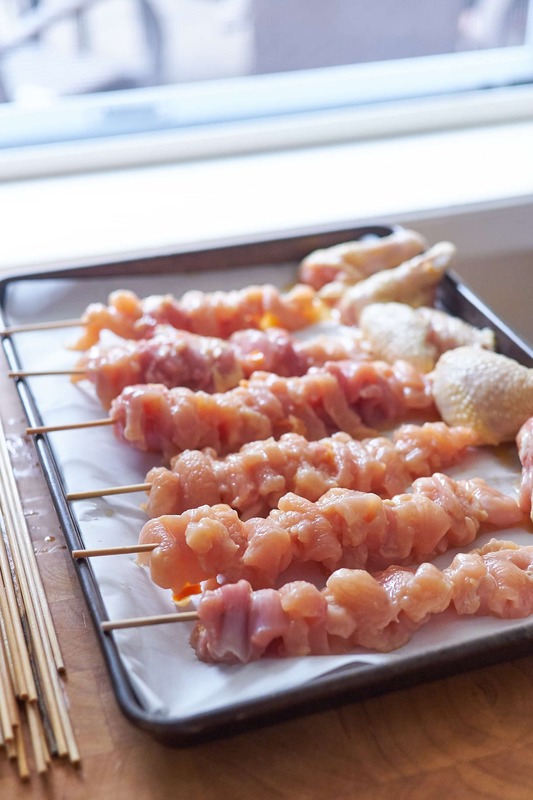 While the chicken is marinading, soak 6-10 skewers in water. Preheat your grill and oil the grates. Skewer chicken breasts and thighs. Reserve marinade to brush over while grilling. Place skewers, wings and drumsticks on oiled grill grates. Grill skewers over medium heat until they can easily lift off of the grill. Rotate every 2-3 minutes until centers are opaque - about 15-20 minutes total depending on your grill. Brush marinade over chicken often and up to 4 minutes before they're done cooking. Dress chicken with coarse sea salt, cilantro and orange wedges. 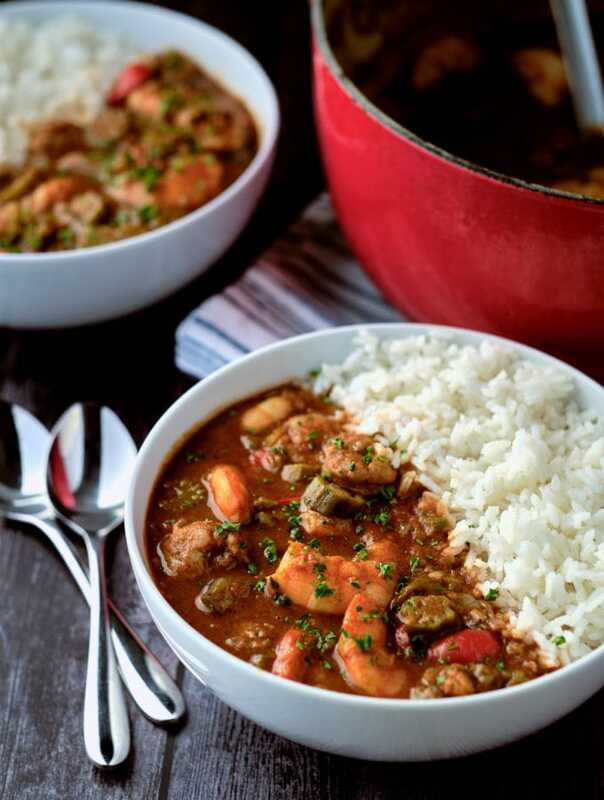 Serve with a side of Jasmine Rice. 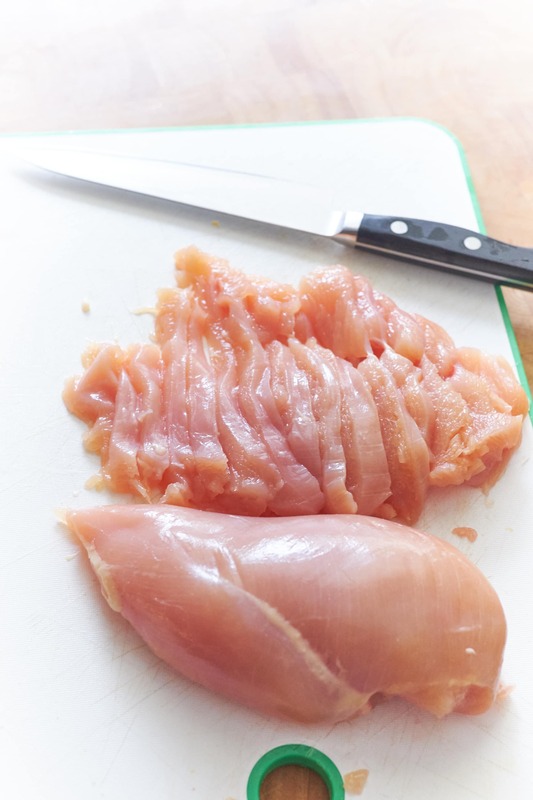 While brushing the marinade over the chicken while it's grilling, be mindful that you had raw meat in there for hours. 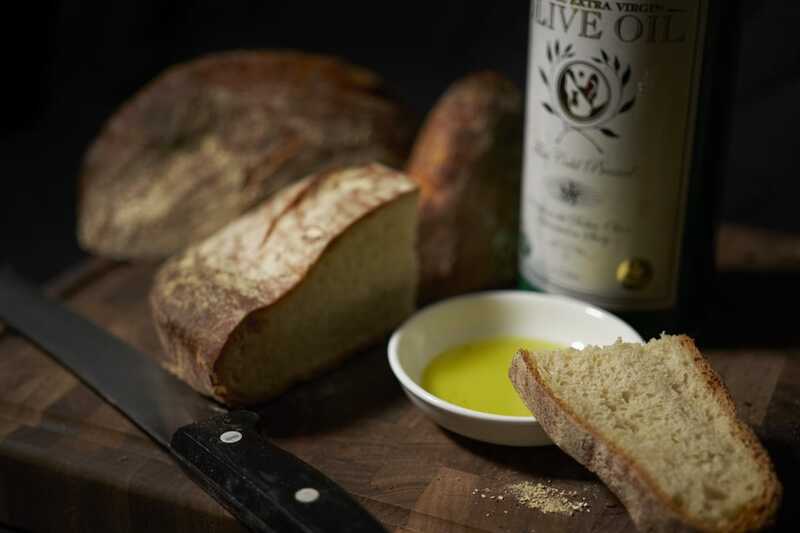 Give it time to cook before serving. 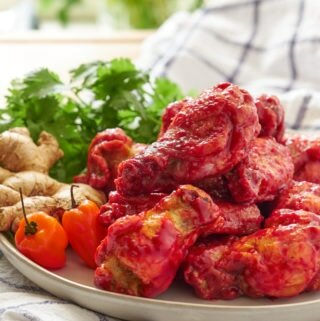 You can discard the marinade after using it or you could save some to reduce in a pot over high heat to make a glaze. Whisk in a teaspoon of cornstarch to thicken if desired.